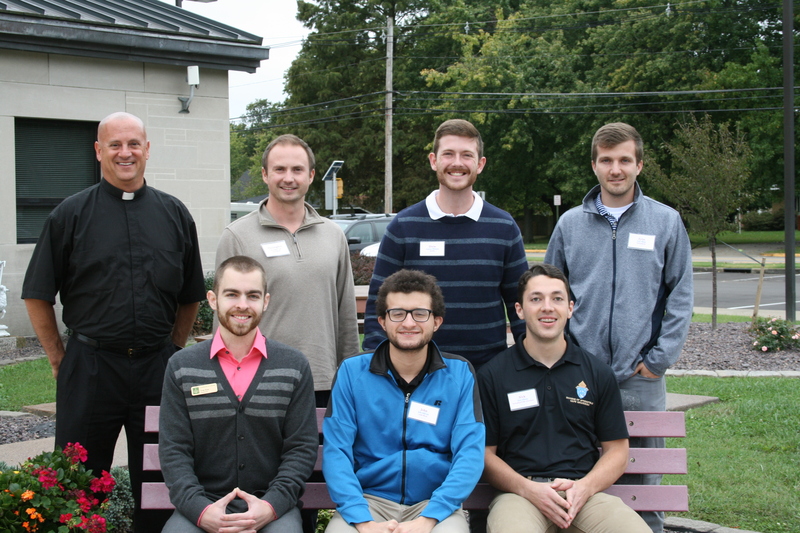 Once again, we are blessed to host this year’s First-Year Pre-Theology students from Saint Meinrad School of Theology for three consecutive Wednesdays for their field education experience and introduction to parish life. 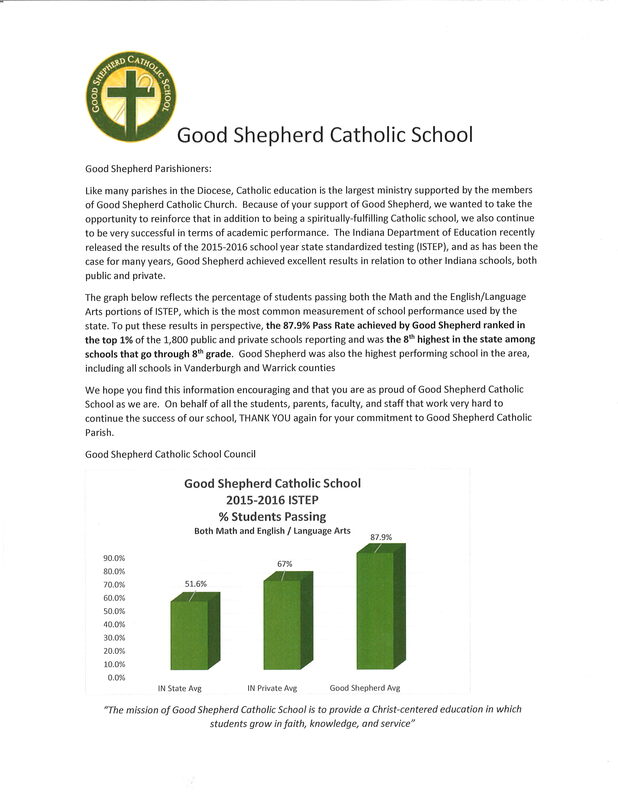 Six class members visited Good Shepherd Catholic Church and School on Wednesday, November 11th. 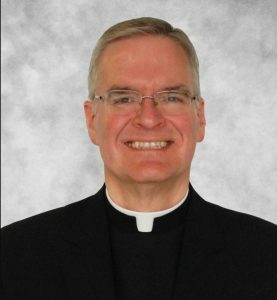 Pope Francis has named Bishop Joseph Siegel, up until now Auxiliary Bishop of Joliet, as the new bishop of Evansville, Indiana. 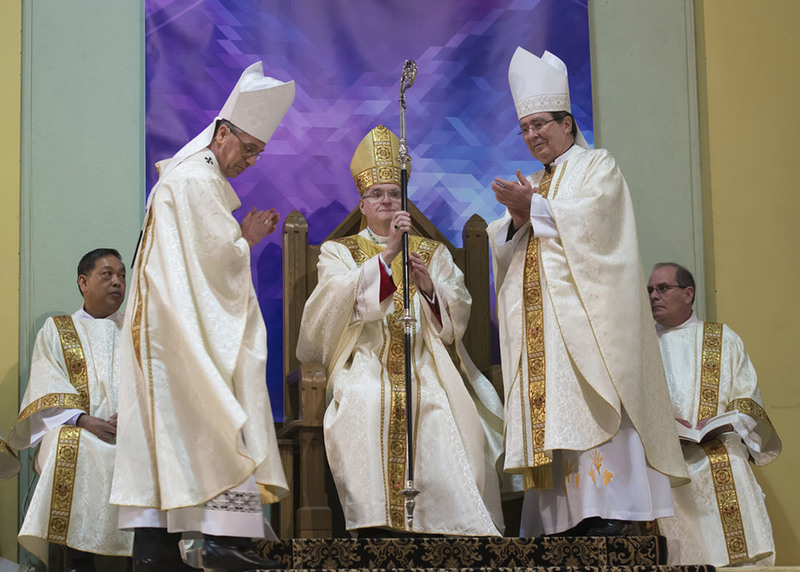 Bishop Siegel was named Auxiliary Bishop of Joliet, Illinois, by Pope Benedict XVI on October 28, 2009, and was ordained a bishop on January 19, 2010, by Bishop Peter Sartain. He was born in Lockport Township on July 18, 1963, and is the youngest of nine children. He attended St. Meinrad Seminary, Indiana, where he completed his college education. He was then sent to the North American College in Rome (1984-1988), attending the Gregorian and Angelicum Universities. Assignments after ordination include: associate pastor, St. Isidore Parish, Bloomingdale, Illinois, 1988-1994; associate pastor, St. Mary Immaculate Parish, Plainfield, Illinois, 1994-1998; parochial vicar, St. Mary Nativity Church, Joliet, Illinois, 1998-2000; parochial vicar, Cathedral of St. Raymond, Joliet, Illinois, 2000-2004; pastor, Visitation Parish, Elmhurst, Illinois, 2004-2009. In July 2011, Bishop R. Daniel Conlon appointed Bishop Siegel as his Vicar General. The Diocese of Evansville, Indiana, comprises 5,010 square miles. It has a total population of 512,870 people of which 76,218, or 15 percent, are Catholic. Please use this link to access a high-quality audio-only version of the introductory press conference for Bishop-designate Joseph M. Siegel. Pope Francis wants to hear from young people! To prepare for the upcoming international Synod on “Young People, the Faith, and Vocational Discernment,” the Holy Father wants online feedback from all youth and young adults, ages 16 to 29, from around the world, regardless of how active they are in the practice of the faith. HELP POPE FRANCIS HEAR THEIR VOICE. The online survey is open until November 30, 2017.
bishops better understand the realities, hopes, and concerns of youth and young adults in preparation for the 2018 Synod. More details about the Synod process, including links to the preparatory document and the pope’s messages to youth and young adults, can be found on the official Synod website. If you would like to register as a Good Shepherd Parishioner, you may now do so online! Go to the Good Shepherd Church tab, and then scroll to the bottom of the page where it says “Join Us”. You will find a family registration form button there. Or, cut and paste this link into your browser to go straight to the form: http://www.gsparish.org/form/FamilyRegistrationForm.html. You may also use this form to update your family information if you are already a parishioner. Contact the parish office at 812-477-5405 to get your ID number in order to update your information online.